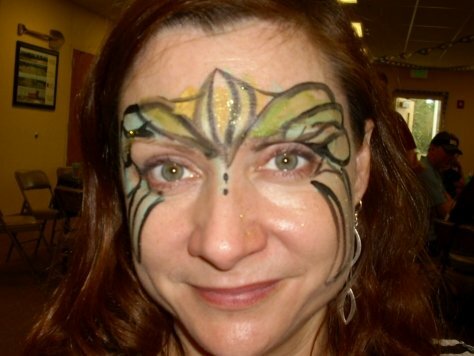 Face painting is an attractive compliment to eveningwear. 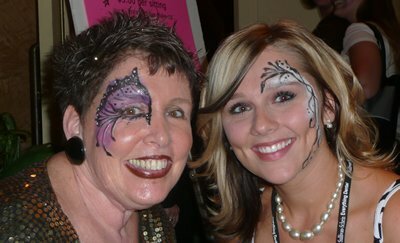 Decorative eye designs add sparkle and creativity to any event. Adults can enjoy a touch of creativity that compliment an avant garde look. Miss Harriet sparkles with ornate earrings and a sophisticated outfit. 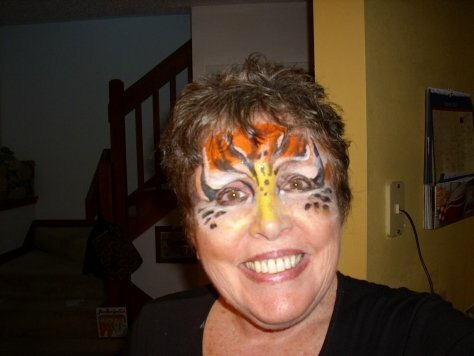 Miss Harriet is available weekdays and weekends upon request throughout Greater Orlando (including: Melbourne and Daytona). Call 407-729-4564 for availability or contact me via this form.